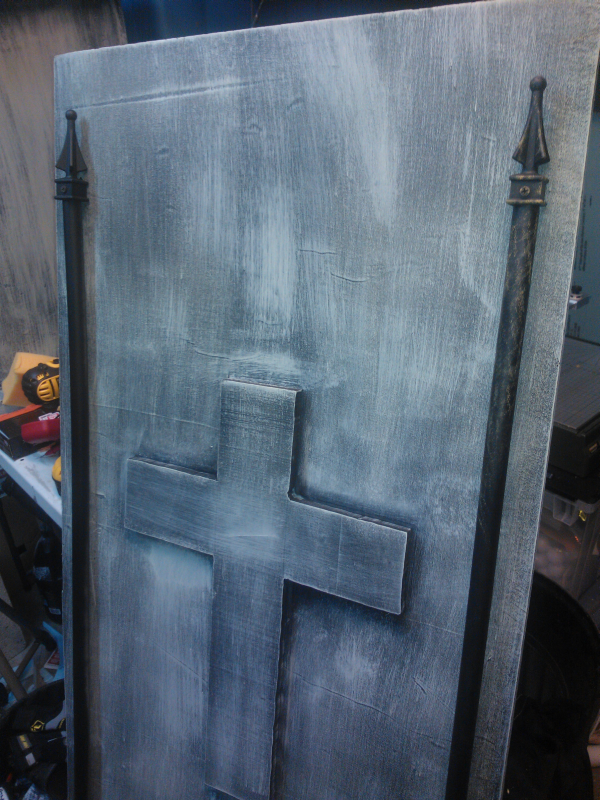 I got to do some more work on the crypt this weekend. 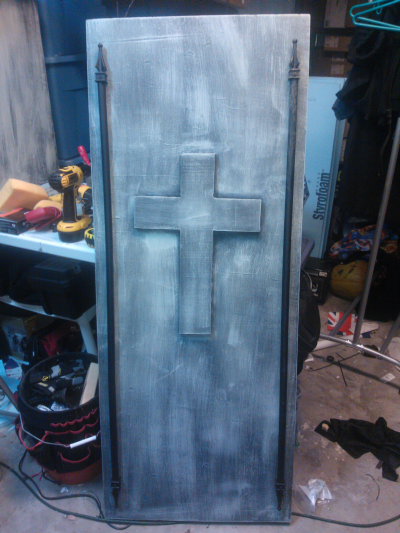 I have gotten the top painted and wanted to paint the whole thing but never got the time. I am also trying my hand at rust for the first time so we will see how that turns out! Hopefully this weekend I can get the entire thing painted! I added the faux metal pieces to the top because I thought it would look cool and just wanted to add some decorative detail to it. I am going to make them stand off from the top instead of laying flat on it once I get some longer screws.